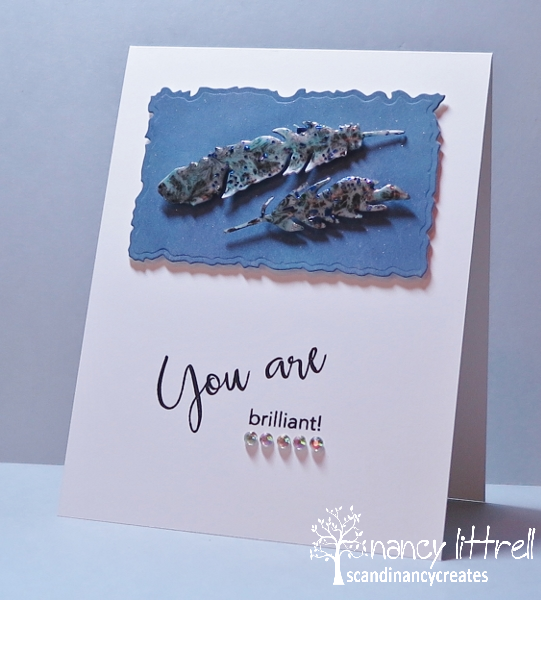 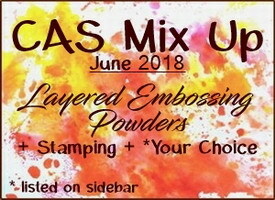 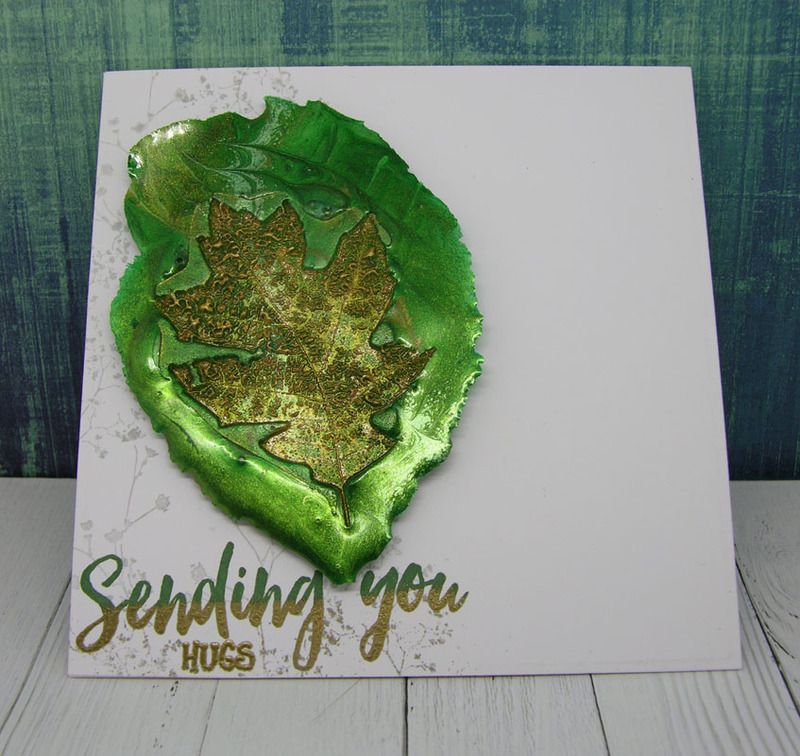 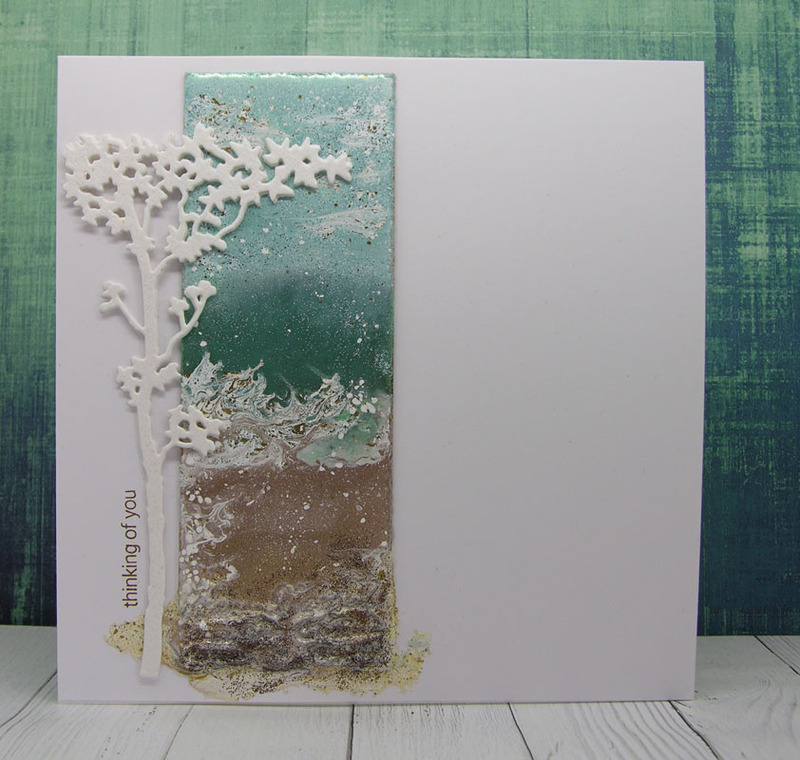 Layered Embossing Powders has been a really fun technique that many of you tried for the first time and had great success. The gallery was filled with gorgeous cards. 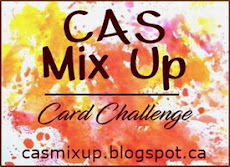 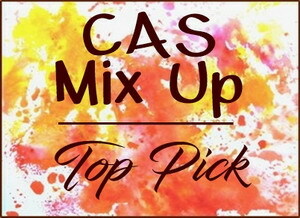 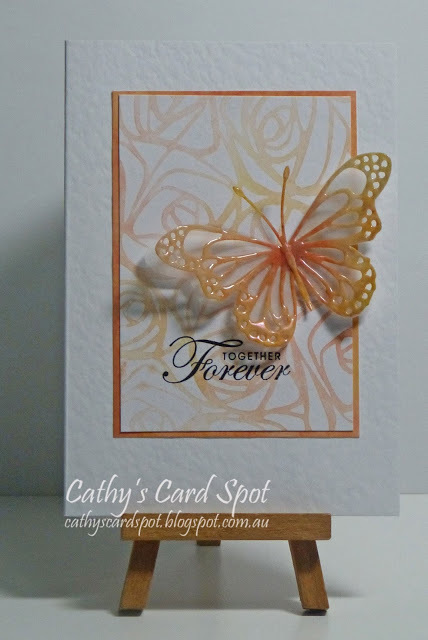 Cathy's design all starts with the beautiful palette of soft and delicate colours for her stencil monoprint background over a textured white base. 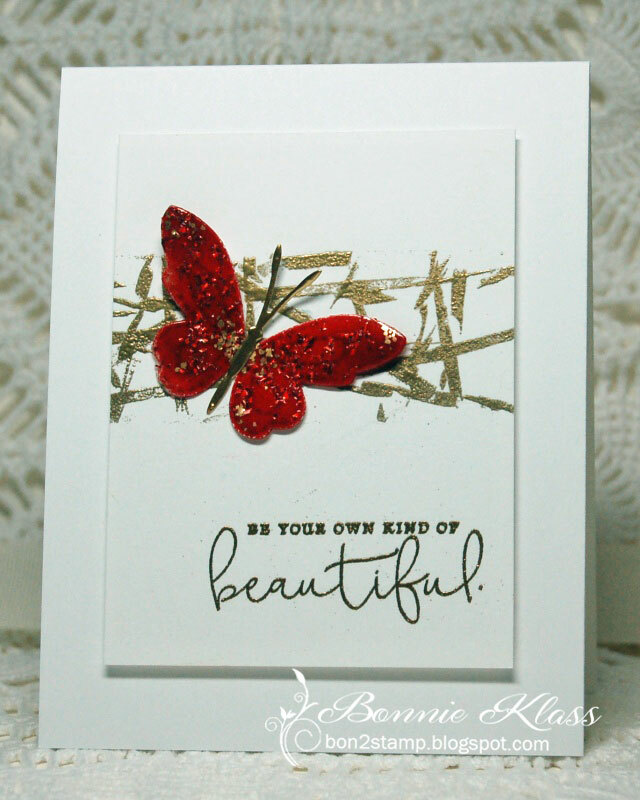 The mix of embossing powders used on the butterfly add lots of shades of orange and peach, along with a pearlescent finish. 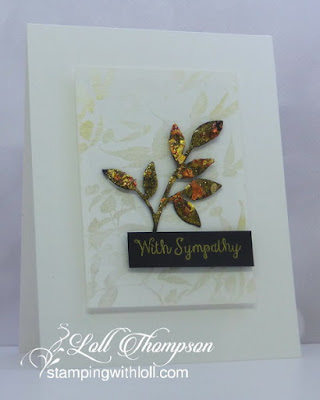 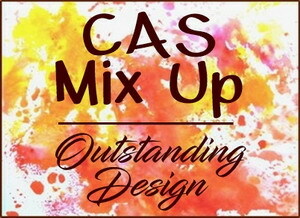 The combination of techniques, products and colours has made this a winning design. 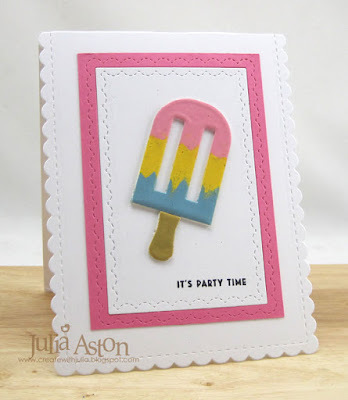 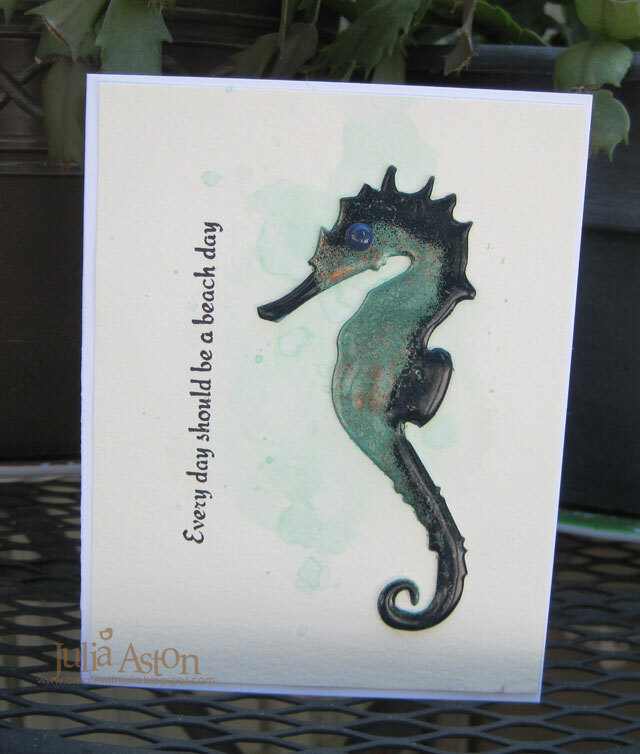 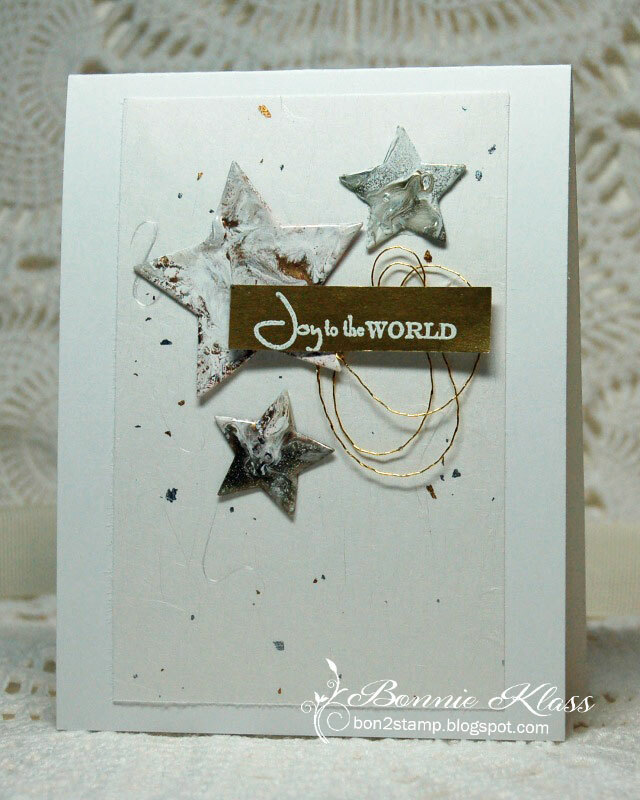 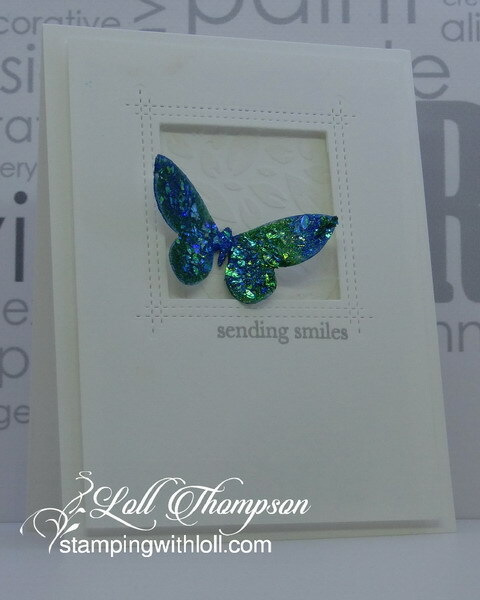 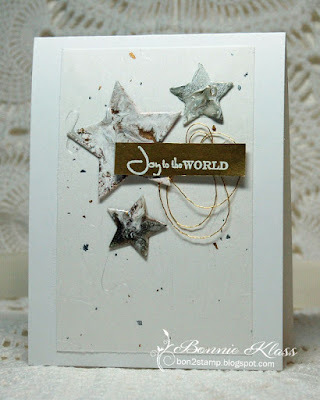 Layered embossing, die cuts, stamping, watercolor and an enamel dot.